Our exhibits, presented in the Jeremy Ingalls Gallery, select from our collection of over 70,000 items to present a cohesive view of individual poets, schools of poetry, particular presses, book forms, and more. We also feature exhibits of contemporary presswork and contemporary artists. 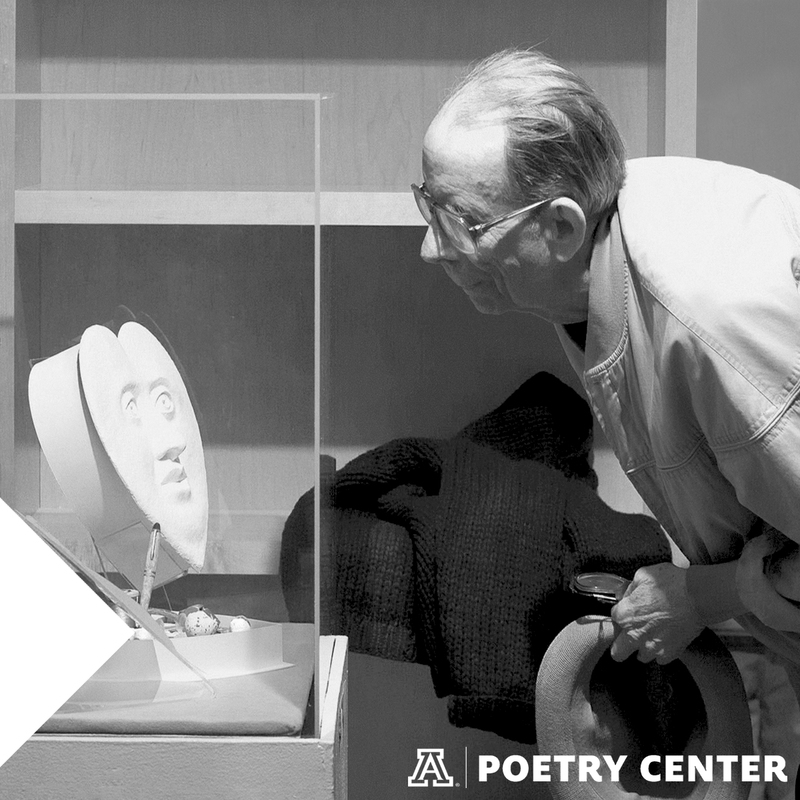 Stop in and experience our exhibits whenever the Poetry Center is open. Find our hours here. Check our online calendar for information about current and upcoming exhibitions.